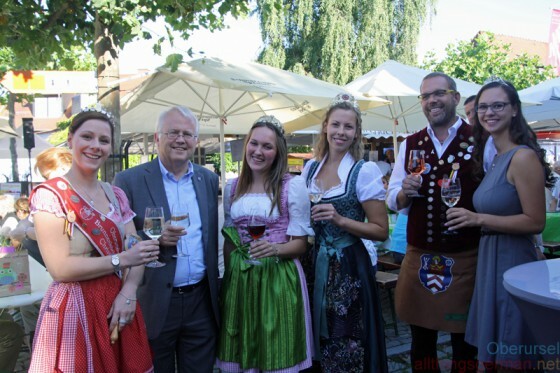 The 15th Rheingau Wine Festival was opened this evening (Friday, 31st July, 2015) by Mayor Hans-Georg Brum. He was accompanied by Fountain Queen Christina II., along with the Oestrich Wine Queen Sophie Egert, the Johannisberg Wine Queen Irene Rodschinka, Brunnenmeister Jürgen and Rheingau Wine Princess Stephanie Gönder (left to right). 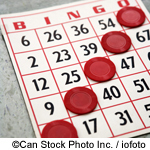 The Seniorentreff in Oberursel will be offering an afternoon of Bingo on Thursday, 6th August, 2015 between 2.30pm and 4.30pm in the “Altes Hospital” (Hospitalstraße 9). Anyone who is interested is invited to come along and try their luck! The middle ages will be coming to Oberursel at the weekend when the 7th annual “Feyerey” takes place on the fields next to the “Bachpfädchen”. Over 65 market stands will offering food and drink, hand-made goods, and items such as soap and honey. There will be games for children, fire shows, music and dancing, and even shows with birds of prey. Click here for the times of the shows. 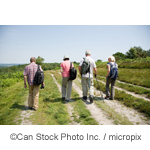 The Seniorentreff in Oberursel will be offering a 3,000 step walk on Wednesday, 5th August 2015. To take part, be at the Christuskirche in the Oberhöchstädter Straße at 3pm. The 15th Rheingau Wine Festival in Oberursel is being held between Friday 31st July and Sunday 2nd August 2015 on the Marktplatz. Many of the vineyards at the festival will be familiar to those who have been before, as they have been coming for a number of years and often have their stands in the same place each year. Visitors can expect to find selected Riesling and Spätburgunder (Pinot Noir) wines from towns such as Lorch, Hattenheim, Hochheim, Giesenheim, Erbach, Johannisberg and Oestrich-Winkel. 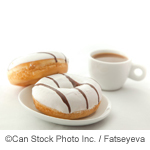 There will also be a variety of food on offer, including Flammkuchen (Tarte Flambee) and (Zwiebelkuchen) Onion cake. 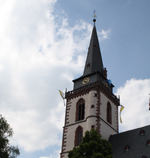 The tower of St.Ursula’s Church in Oberursel will be open to the public on Saturday, 1st August, 2015 between 3pm and 5pm. The Seniorentreff in Oberursel will be holding a Stammtisch on Friday, 31st July, 2015 between 5pm and 8.30pm in the “Altes Hospital” (Hospitalstraße 9). The Stammtisch is a place to discuss anything and everything that those attending wish to. A charge of €7 per person will be made to cover the cost of food and drink and due to the limited number of places reservation by telephone (06171 585333) is requested. 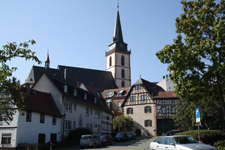 A tour of the old town (Altstadt) part of Oberursel is being offered on Saturday, 1st August, 2015 at 2pm. The Seniorentreff in Oberursel will be offering an afternoon of Bingo on Thursday, 30th July, 2015 between 2.30pm and 4.30pm in the “Altes Hospital” (Hospitalstraße 9). The start of the school holidays on 27th July, 2015, also sees the start of work on the bus stop at the Rushmoorpark to make it more accessible. With the project being financially supported by Land Hessen, the existing bus bay on the Feldbergschule side will be extended and fitted out with tactile elements. The stop on the other side for travellers heading out of town will have a new bus shelter erected. The work will also renew and improve the passenger protection system making it disabled friendly. The work is set to take six weeks and cost around €140,000. 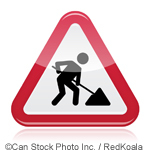 Traffic travelling out of town will pass through a single lane through the roadworks, heading into town there will be a diversion along An der Heide, then Königsteiner Straße, and finally Füllerstraße. Buses on routes 41, 252 and 261 will use the same diversion. They will not stop at “Feldbergschule” when travelling into town. Travelling out of town they will stop there, but the bus stop will be moved several metres further out from the town centre on the corner of the “Kronberger Straße”.